You must have a Saskatchewan driver’s licence to drive. In most cases you will need to take a written exam and a road test. When you first get your driver’s licence there are extra rules about things like how many people you can have in the car. You must be at least 16 years old and have a Saskatchewan driver’s licence to drive a car. To get a licence you must pass a driver’s exam and road test. To pass these exams you must be able to drive safely, understand traffic signs and know the rules of the road. Saskatchewan Government Insurance (SGI) is in charge of licensing in Saskatchewan. You may not need to take a driver’s exam if you have a valid driver’s licence from another country or Canadian province. Detailed information is available from SGI. You must prove your identity to get a Saskatchewan driver’s license. You will need two pieces of identification that include your legal name, date of birth and signature. If you do not have any Saskatchewan identification, your passport and an immigration document, such as a Resident Card may be used. You must also prove that you live in Saskatchewan. Items such as a telephone bill, a rental agreement, mortgage document or Saskatchewan Health Services Card may be acceptable. Finally, you must prove you are entitled to be in Canada. This can be done with a document from Canadian Citizenship and Immigration such as a Residence Card or a study or work permit. You need to book an appointment for driver exams. You can do this online, by visiting a motor licence issuer or by calling 1-800-667-5111 Monday to Friday between 8:00 am and 4:45 pm. You must be 16 years old or older to take driver exams. However, if you are in high school and have taken driver education you can take the written exam at 15. The first step is to take a written exam. This tests your knowledge about the rules of the road. The Saskatchewan Driver’s Handbook and practice quiz can help you prepare. The online handbook is available in a number of different languages. Written exams take place at a driver exam office. You will need to make an appointment with one of these offices. Saskatoon and Regina offices take walk-ins. There is a $10 fee to take the written exam. You will take the exam on a computer at the driver exam office. If you pass the exam and a vision test, you will get a learner’s licence. This means you can practice driving with an experienced supervising driver. The supervisor must have a valid licence and must sit next to you. 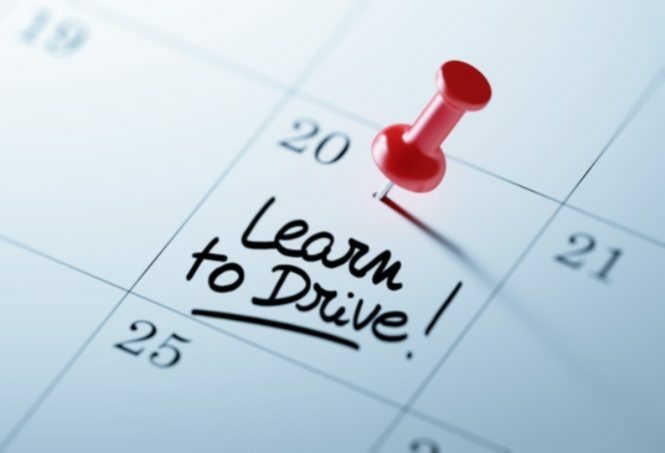 Before you can take the road test, you must practice with your learner’s licence for at least 9 months. You also need to take at least 6 hours of in-class instruction and 6 hours of in-car instruction from a certified driver instructor. You can find a certified driver instructor near you by using the search function on SGI’s site. Driver instructors will charge a fee for their services. You bring your own car to the road test. Your car must be in good working order. If some things are not working, such as brake lights or windshield wipers, you may not be able to take your test. The road test takes about 20 minutes. During the test, you will drive your car with the exam officer in the passenger seat. You will be tested on things that are part of everyday driving. These things include changing lanes, parallel parking, stopping, turning, and obeying traffic signs and signals. Points will be taken off for anything you do wrong. If you get 10 or more points off you will not pass the test. Points will be taken off for things like changing lanes without signalling or being too far from the curb when you park. You could fail because you did a number of minor things wrong. Some things result in an automatic failure. These include, speeding, not stopping when required and not yielding to other cars when required. If you do not pass the test, the exam officer will explain why. You will need to wait two weeks before you can take the road test again. Once you pass the road test you need to have your licence updated at a motor licence issuer before you can drive. When you first get your Saskatchewan licence there are restrictions on your driving. New drivers include people who get their Saskatchewan driver’s licence based on a licence from another place, unless they can show that they are an experienced driver. Once you have driven for 6 months you will receive your Novice 2 licence in the mail. For the next 12 months you will be a Novice 2 driver. This has the same restrictions as a Novice 1 driver but you can have more than one passenger who is not immediate family. After 12 months, as long as you did not cause an accident or get any traffic tickets, you will graduate to being an experienced driver and will not have any of these restrictions.